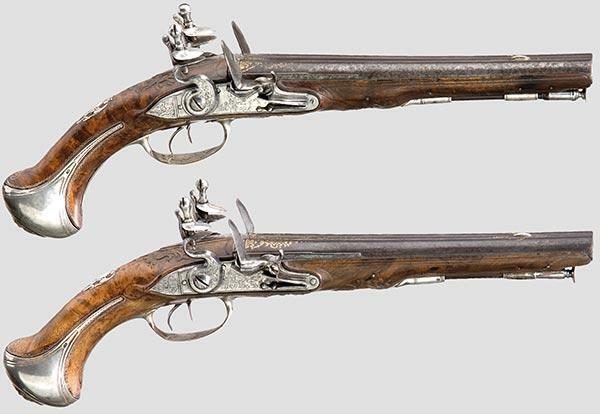 A pair of double-barreled flintlock pistols, Andre à Nancy, circa 1740/50. 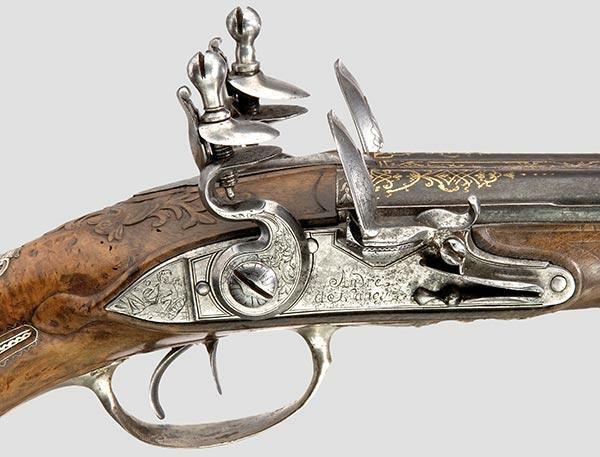 Round, smooth bore barrels in 13.5 mm calibre. Gold-inlaid scroll decoration (partially worn) on top of the barrels. The lock plates engraved with the signature, "Andre à Nancy". Lightly carved walnut stocks with beautiful figure and silver wire inlay. Silver furniture with relief (hallmarks) and engraved decoration. Length of each 37.5 cm.